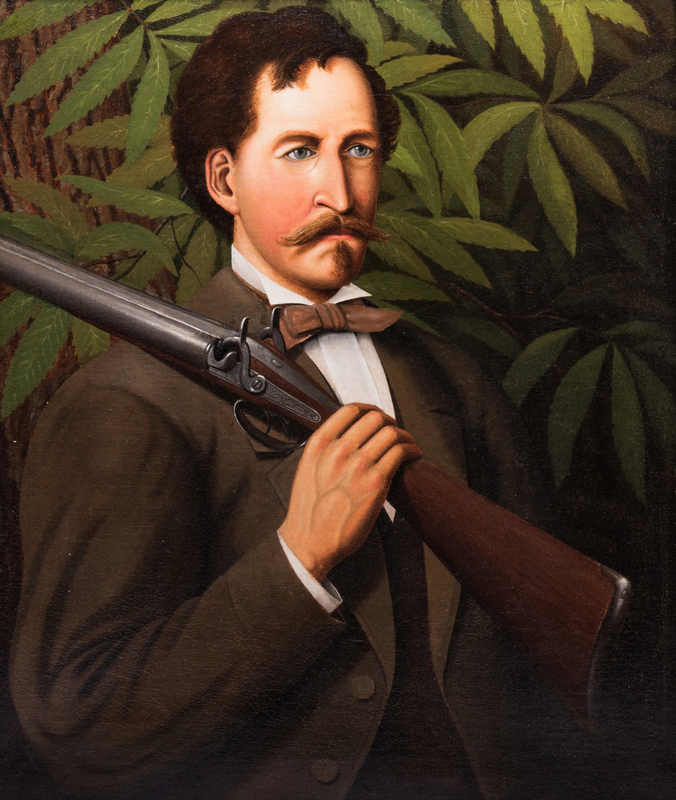 American School oil on canvas painting depicting a man with a double trigger shotgun over his shoulder against foliage and tree bark. Unsigned. Housed in a contemporary wooden frame. 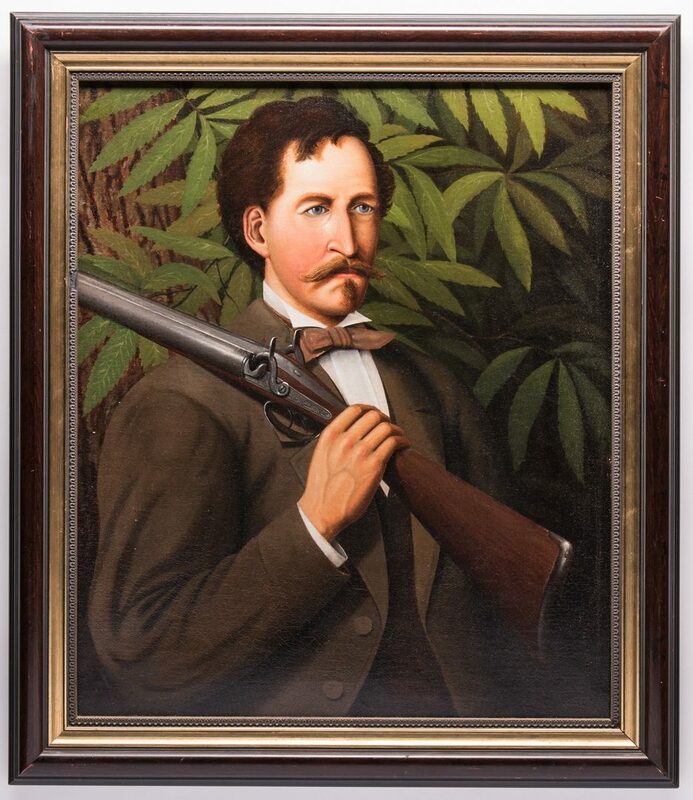 Sight – 29 1/4" H x 24 1/2" W. Framed – 35 3/4" H x 31" W. American, late 19th/early 20th century. CONDITION: Overall good condition. 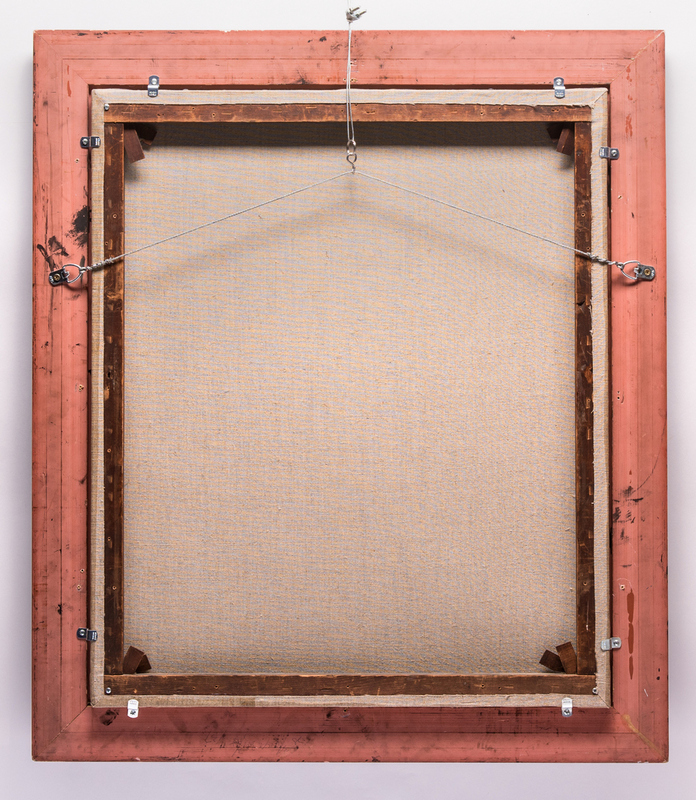 Canvas relined. Craquelure, surface of canvas. Surface abrasions, largest 1 1/4", lower left quadrant or canvas.